A species that we have been trying to protect for the past 20 years , the vaquita is disappearing before our very eyes. They have gone from 570 in 1997 to no more than 97 left in the Cortez sea now. We previously supported a scientific program to monitor Vaquita populations using hydrophones. We are calling for help in order to help the scientists on site to get organized in order to prevent illegal fishing at night and thus avoid accidentally catching them in gillnets. For the past 15 years we have been able to bring some help but the situation is worsening , this well documented article posted on the 14th of May by the NEW YORK TIMES explains that in spite of the gillnet fishing ban – put in place 2 years ago – the vaquita is still a victim of its territorial proximity with the very sought after totoaba fish from which the Asian community eat the liver as a delicacy. The totoaba is poached at night and neither the Mexican government nor the scientists have yet been able to halt these catastrophic deterioration. 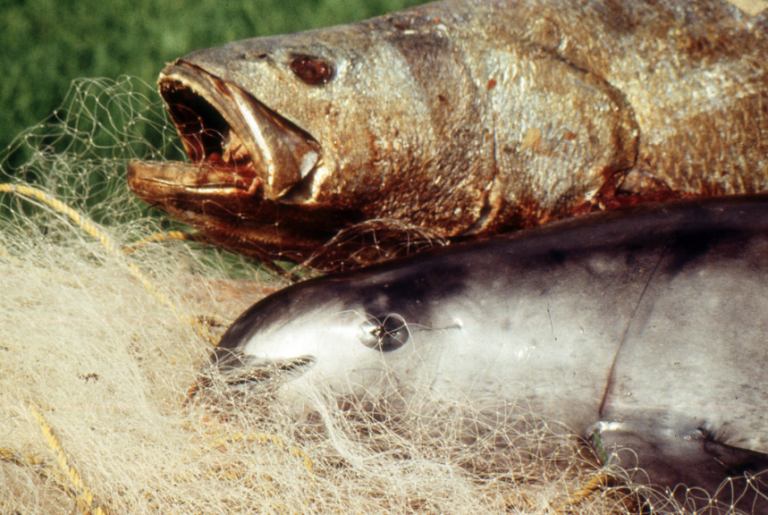 We are calling out for people to donate to the urgent cause of saving the vaquita. You can donate on our website.